No other single location has had a greater impact on Felix Rosenqvist’s career than Macau, China’s gambling metropolis situated on the Pearl River delta a short ferry ride from Hong Kong. With two wins in the city’s prestigious Formula 3 Grand Prix, Rosenqvist belongs to the most acclaimed drivers in the history of the Asian event. This week, he returns to its famous streets to once again battle it out for glory – yet in entirely new surroundings. The 2017 Macau Grand Prix, taking place from Thursday-Sunday of this week, marks Rosenqvist’s eighth successive year of contesting the end-of-season extravaganza. While all of his previous starts in 2010-2016 have come in the F3 category, however, this time around it’s carte blanche for the 26-year-old Swede as he jumps across to the FIA GT World Cup race that shares the event bill. For his first dash around Macau in non-F3 machinery, Rosenqvist will race a Ferrari 488 GT3 (start number 63) entered by American outfit Scuderia Corsa. The Los Angeles-based team was formed in 2013, and is set to tackle the ultra-demanding Guia street track for the very first time. The squad has claimed the GTD crown in America’s IMSA WeatherTech SportsCar Championship in each of the last two years, with GTE-Am class victory at the 24 Hours of Le Mans in 2016 marking another highlight. For his FIA GT World Cup debut, Rosenqvist will go up against a host of top-flight GT specialists appointed by leading car manufacturers. In total, eight of the 20 drivers entered have won Macau headline races, with three of them – Daniel Juncadella, Lucas di Grassi and DTM ace Edoardo Mortara – joining Rosenqvist as previous winners of the blue-riband F3 event. Rosenqvist is the sole Ferrari driver on the grid, which also features involvement from the might of Porsche, BMW, Audi, Mercedes, Honda and Lamborghini. As one of only three men to have claimed two Macau F3 triumphs (the others being António Félix da Costa and the aforementioned Mortara), Rosenqvist may have an esteemed history in the former Portuguese exclave, but he remains fully aware of the difficulty facing him on his 2017 return. 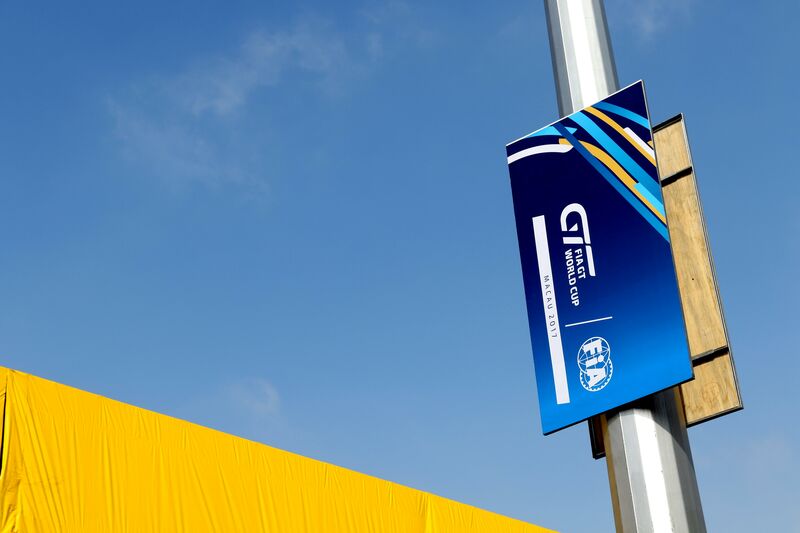 The FIA GT World Cup event structure is similar to that used in Formula 3, with practice and qualifying taking place on Thursday and Friday. Saturday then boasts the so-called Qualification Race, the outcome of which determines the final grid for Sunday’s do-or-die finale. There will be a live stream service available at www.felixracing.se throughout the week, broadcasting the action in real time.